Professor of Journalism at the University of Sussex and is Emeritus Professor of Broadcast Journalism at Goldsmiths, University of London. Before entering academia he was a political journalist during which time he reported and produced programmes for BBC TV and Radio, ITN, Channel 4 and Sky News. 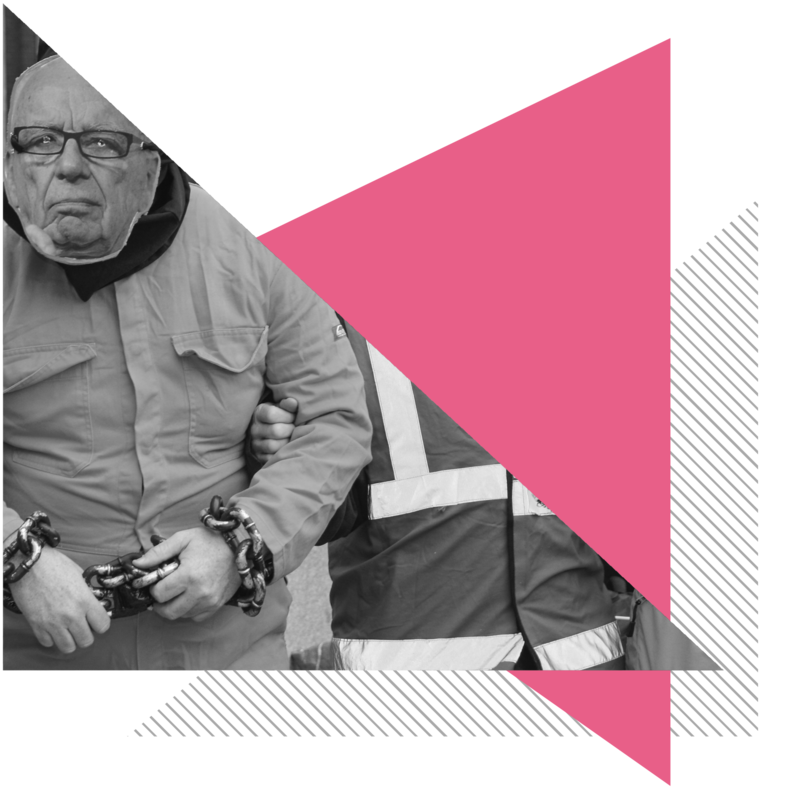 He currently makes documentary programmes for Radio 4 and is an Independent Editorial Advisor to the BBC Trust. 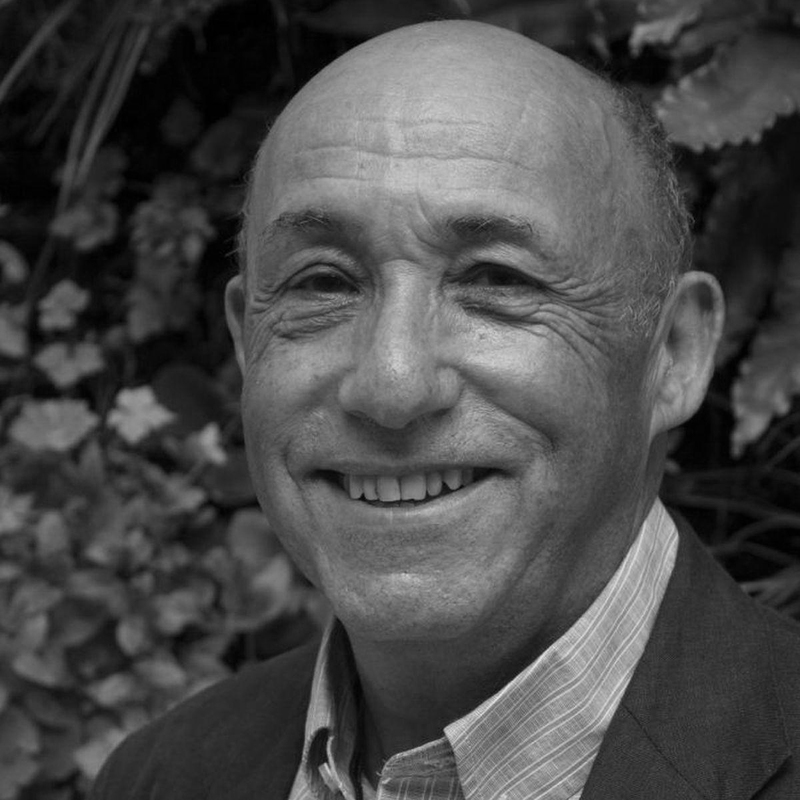 He represents the UK on the Communications Sector at the United Nations Educational, Scientific and Cultural Organisation (UNESCO) and is a Fellow of the Academy of Social Science. Well there was one reason, at least, why we should have all been grateful to Tony Blair. For the 20 years or more since he took over the Labour reins, that angry beast ‘the Tory press’ – red (so to speak) in tooth and claw – has lain dormant in its lair. Some of us might have thought that it was dead, but it wasn’t, merely sleeping only to be awoken by the nightmare that we were about to be engulfed by a Labour victory. The extent to which this venomous avalanche actually affected the result, remains to be seen but there is no doubting that the traditional Tory press still has the means, and the will, to continue to dominate the election news agenda. I guess we shouldn’t have been surprised by its resurrection, but even seasoned press observers, well this one at least, were taken aback by the sheer ferocity of the 21st century incarnation of the beast – had it all not seemed so ludicrously, even comically, dated. The Daily Mail had been frothing at the mouth about ‘Red Ed’ for the past two years or more. One had to hand it to the paper for its sheer determination in trying to plant the concept into the mind of the general public at every opportunity – Lynton Crosby eat your heart out. But the failure of the campaign to find any sort of resonance among the man or woman in the pub, wine or coffee bar, was one of the more edifying aspects of the election campaign. 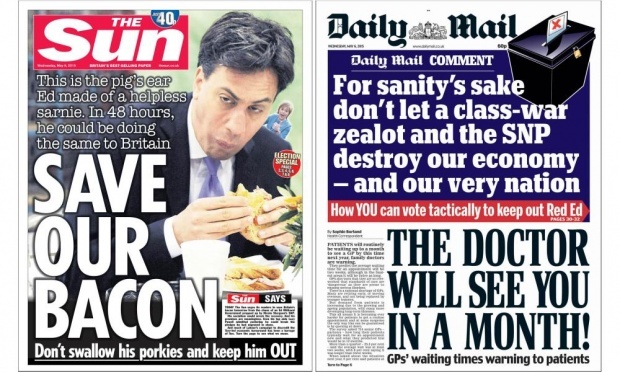 The Sun was equally ridiculous with its ‘Save our Bacon’ front page on the eve of the election – reprinting for the umpteenth time the picture of Miliband struggling, and failing, to eat a bacon butty with dignity. 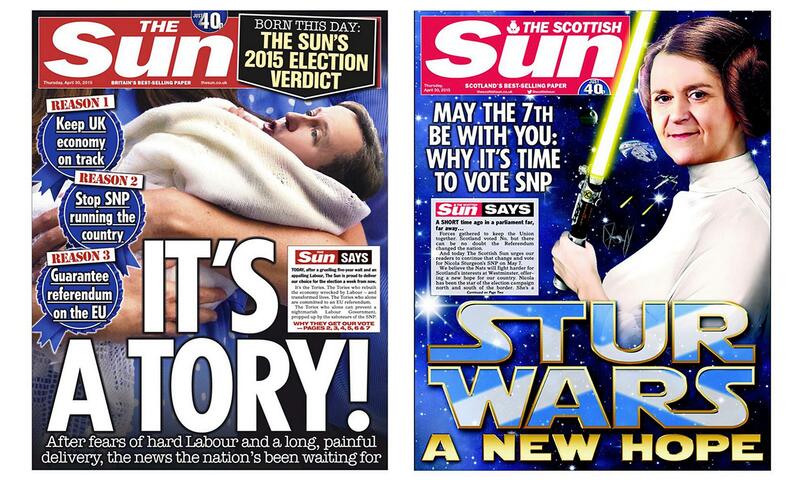 Perhaps it’s me, but I didn’t find that front page particularly funny, at least not compared to the laugh I got a few days before when the Sun in England and Wales told its readers to vote Tory, on exactly the same day as the Sun in Scotland told its readers to vote SNP. The Times presented a very mixed bag. Its coverage of the campaign had been very comprehensive and fair, especially its special ‘Red Box’ section which contained additional coverage for subscribers, not found in the newspaper or website. But then, two weeks before polling day, coincidentally following reports that Rupert Murdoch had instructed its sister paper the Sun to put the boot into Mr Miliband, The Times changed. Its ‘news reports’ suddenly became tainted with a strong dose of Tory bias and its choice of front page leads, all based on unnamed sources, became risible – such a pity. But when it came to besmirching the reputation of a once-proud newspaper, no one did it better to itself than the Daily Telegraph, perhaps because the paper had not one angry proprietor but two, the Barclay brothers; although one might have hoped that there were enough decent journalists left at the paper to stand up and say ‘Up with this we will not put’ – evidently not. In particular the Telegraph ran two front page ‘stories’ – and I use that word advisedly – that were essentially advertisements (but not paid for) on behalf of the Conservative Party, containing the names of business (mostly) men from large and small companies alike, expressing their fear of a Labour Government. 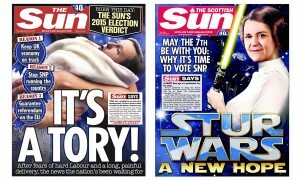 Worryingly, the first of these front pages was run as a major story by the broadcasters for the following 24 hours, the second was ignored. Front pages such as these, in essence party propaganda pure and simple, were once the exclusive preserve of the Daily Mail – which has an ignoble tradition along these lines, stretching from the forged Zinoviev Letter of the 1920s to the fictional ‘twelve Labour lies’ used to undermine the Labour Party of Neil Kinnock 70 years later. Telegraph journalists always used to boast that whilst they were clearly a Tory-supporting newspaper, they were fastidious in separating their news coverage (which was generally seen as fair) from their comment pages (which were not). Those days have clearly gone, which coincidentally or not, coincides with the Barclay Brothers proprietorship of a once proud newspaper. But let me conclude this avalanche of brickbats with one bouquet for the Tory-supporting press. For despite arguing in its editorial columns for a continuation of the current Conservative-led government, the Financial Times’ election coverage was superb. Every day it ran a voluminous array of election articles, interviews and analysis and, having subjected them to my special bias-detecting algorithm, I have come up with a zero reading.